Pwned Passwords – is your password already part of this dataset? Every few months there’s a big hubbub over the web because hackers have gotten ahold of yet another list of passwords and we are all cautioned to change ours for better online safety. But we’re human and we keep using the same passwords over and over again. 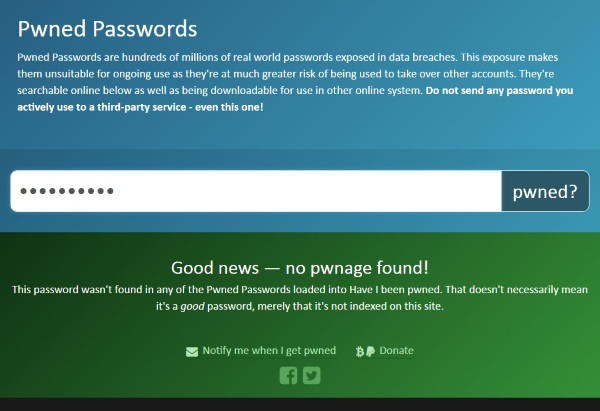 See if you’re making a terrible mistake with Pwned Passwords. If your password is one on the list of passwords that have already been stolen then you are at risk for fallng victim to credential stuffing, hackers may be able to access your personal details and information and that’s not a thing that anyone wants. You can just enter your password on the search list to see if it’s been pwned but since this is a page dedicated to the theft of passwords, that may not be the most comfortable course of action. They also provide the lists that you can download and search yourself, just in case. I entered a false password to test it and found that you can be notified by the site when your password is picked up. Which again, seems like not a great idea. Anyway, you can download the data on the site. Donyae Coles – who has written 3189 posts on The Red Ferret Journal.